Smack dab in the centre of Quebec’s happening cultural capital you’ll find W Montreal. The now iconic luxury hotel opened over ten years ago and is still the only W branded property in Canada. Nestled in the city’s historic Banque du Canada building, guests are just steps away from picturesque Old Montreal. I’ve had the opportunity to visit a handful of W Hotels around the world: from paradise beach resorts on the islands of Bali and Koh Samui to urban retreats in Bogota and Taipei. What I love most about the brand is it’s consistency in service and design aesthetic. The brands Whatever/Whenever philosophy pampers guests with the notion that you can have “whatever you want, whenever you want it” inviting sophisticated jet-setters into a world where anything can happen. 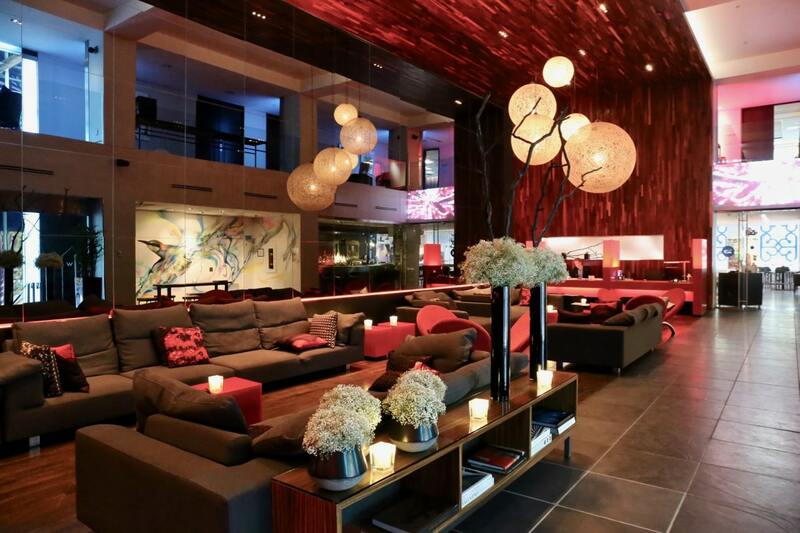 At the W Montreal, guests are able to access W Insider services, an expert on the city who can help grab you tickets to a last minute concert or snag a coveted reservation at an award winning restaurant. 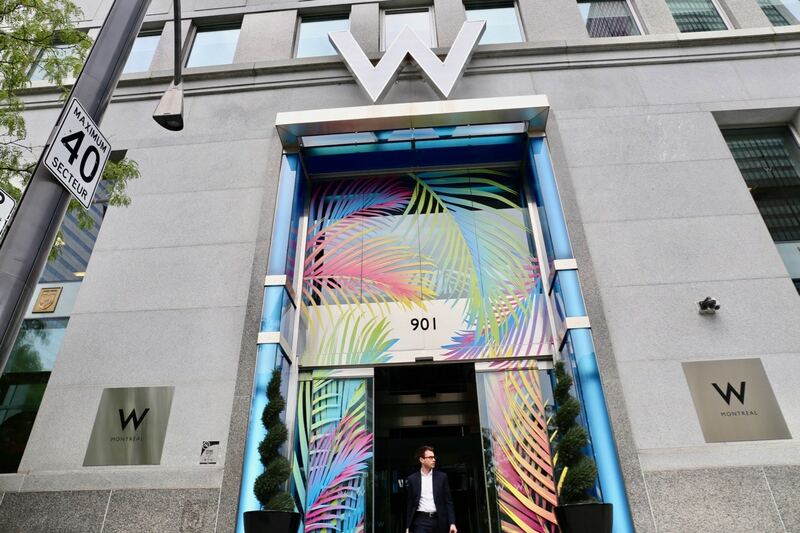 The W Montreal, like its sister properties, offers a bright aesthetic where bold colours pop. The hotel’s lobby features a muddling of ruby red and black charcoal, golden orbs illuminate while effortlessly hovering above and a multi-coloured graffiti work depicting a hummingbird in slow motion taking flight. 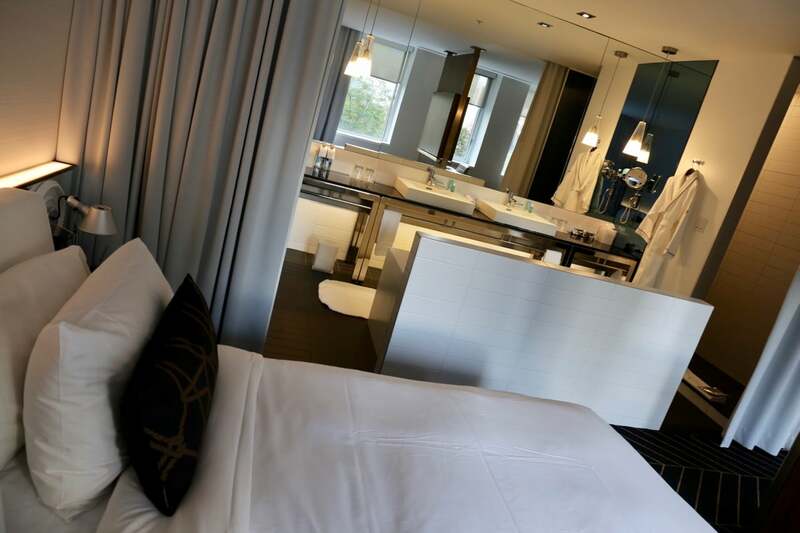 W Montreal has 152 guest rooms and suites, with each sun-soaked interior featuring lux and contemporary furnishings and design that nods to the history of Montreal. Gold accents in the rooms and corridors speak to the buildings history, while faux fur throws pay homage to the fur trading post. Sleep tight on a W signature pillow-top bed while keeping fresh with citrus infused Bliss bath amenities. Wake up to the world each morning at the street art inspired E.A.T. dining room. 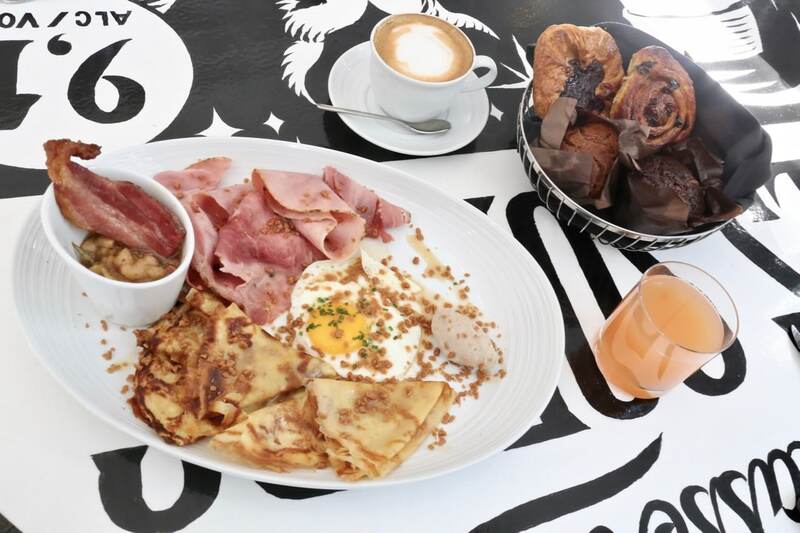 Be sure to order the restaurants most decadent Quebecois brunch offering, a palatial Cabane a Sucre plate featuring fried egg, crepe with maple butter, glazed French ham, maple baked beans, cretons, bacon…sprinkled with addictively crunchy toffee bits. A frothy cappuccino, tart glass of grapefruit juice, and basket of freshly made French pastries completes the well rounded breakfast bacchanal. 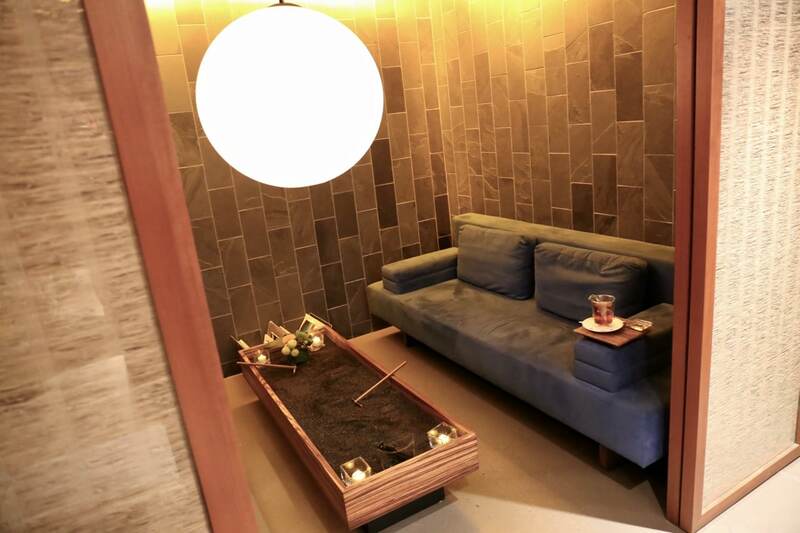 If you’re looking to enjoy a slice of rest and relaxation slip downstairs and get loose at Away Spa. Located beside the hotel’s FIT Fitness Centre, W Montreal’s 1200 sq ft wellness retreat allows guests to pamper themselves via massage therapy, facial care and nail work. In the late afternoon when in need of a thirst quench saunter over to the hotel’s hip Wunderbar. W Montreal’s eye-popping cocktail bar finds its inspiration in Montreal’s four unique seasons and features a wavy rainbow illuminated ceiling. Montreal’s top DJs perform here into the wee hours of the night while expert mixologists vigorously shake and gently stir some of the city’s top tipples. Highlights include Strawbelini (prosecco nino franco, fragoli, strawberry), Thaitini (absolut vanilla, chambord, pineapple, basil, ginger), and Comte d’Artagnan (hennessy cognac, crown royal whisky, martini rosso, maple syrup, peychaud’s, lemon, orange). If keen to tuck into a fine French feast skip into Être Avec Toi (E.A.T). 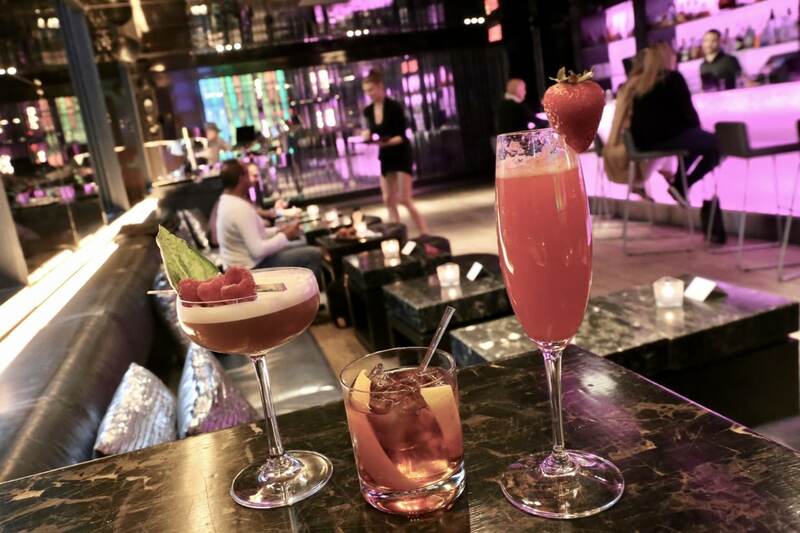 The hotel’s signature restaurant splashes out from the lobby and features an exciting art gallery, DJ designed soundtracks, and innovative Quebecois cuisine. E.A.T’s art program features murals, paintings and installations by a variety of artists, many from Montréal’s cultural scene. Styles range from street art to contemporary, and the restaurant houses a dense gallery space and collaborative murals. 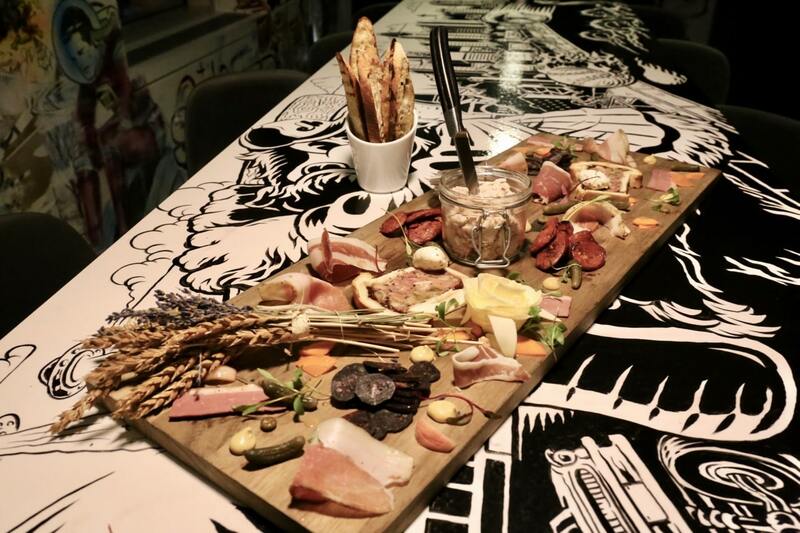 The menu showcases an appreciation for seafood caught on Canada’s East Coast (epic seafood plateau’s, creative calamari a la carbonara, and champagne tossed lobster salad), while also celebrating decadent Quebecois flavour traditions such as foie gras and poutine.